Ragnarok Odyssey Ace, the sequel to Ragnarok Odyssey was revealed this week in Famitsu magazine. The sequel is coming to PS3 and Vita and is a cross between a sequel and expansion pack. "If you have a base product, it's often the case that you're just releasing an updated version of it," executive producer Kazuki Morishita told Famitsu. "We weren't satisfied with that. After agonizing over how to get new gameplay in there that we couldn't provide before, we ultimately were able to get a lot of new features in there that really change the action. 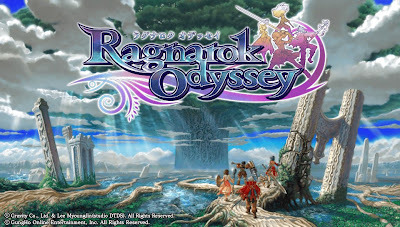 Once you play this, you'll see that not only is it the pinnacle of Ragnarok Odyssey, but also a product with gameplay that really stands out on its own." The sequel includes the full version of Ragnarok Odyssey and all of its DLC. Ace in the games name refers to new abilities the classes have that are unlocked as your progress through the game.